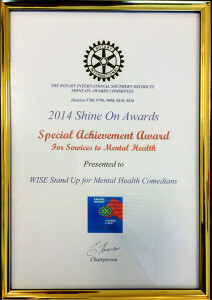 Why is WISE Employment bringing Stand Up for Mental Health to Australia? WISE Employment has partnered with David Granirer to bring Stand Up For Mental Health to Australia because we believe that comedy is a powerful tool to help change public stigma. Our goal is for the comedians involved to learn a new skill, to experience empowerment by sharing their journey of mental illness in a different way through comedy, gain confidence and have the experience of a lifetime. The audience that attends the grand public showcase will have the opportunity to gain a unique insight into mental illness that has the power to positively shape their own attitudes and considerations towards employing people with a mental illness. We believe that WSMH will create a positive and inclusive platform for people to share stories and laughter and contribute towards breaking down and helping end stigma. WSMH is part of WISE Employment’s three-year Empowermental campaign to help reduce the stigma of employing a person who has a mental illness. Every day WISE Employment staff see first-hand the stigma that people with mental illness experience when they are looking for a job. We work closely with employers to help them see that, with the right support, a person who has a mental illness can work and might be the best person for the job. It’s about encouraging employers to see the person first, not the mental illness, and give someone a fair go. 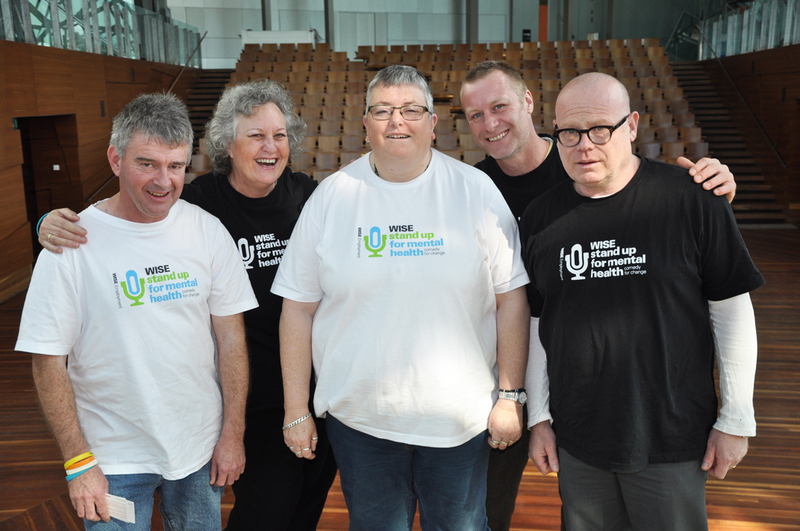 WISE Stand Up for Mental Health is an innovative initiative we, as a not-for profit organisation that helps some of the most disadvantaged people in our community to find work – including people with mental illness – are passionate about delivering and proud to support. In the last financial year, WISE Employment has assisted more than 900 people with a known mental illness into jobs. In Australia we are sponsored by WISE Employment, an organization that helps job seekers find meaningful employment and employers to find the right workers. They do a lot of great work helping people with mental heath issues find work. Matt Lambelle, General Manager, Strategy and Alliance at WISE got in touch with David and the rest is history! We have comics in both Sydney and Melbourne who are available to do shows that can help your organization raise awareness around mental health in a fun and education way!